Electronic redaction in DiscoveryCloud is not only more failsafe than it’s “magic marker” counterpart – it saves time in the process. It’s that same “failsafe” requirement that makes proper auditing a bit tricky — make the redaction permanent… except when it’s necessary to see what was under there in the first place. Newly available to DiscoveryCloud is a feature that does just that — making auditing available users who themselves have the authority to redact. 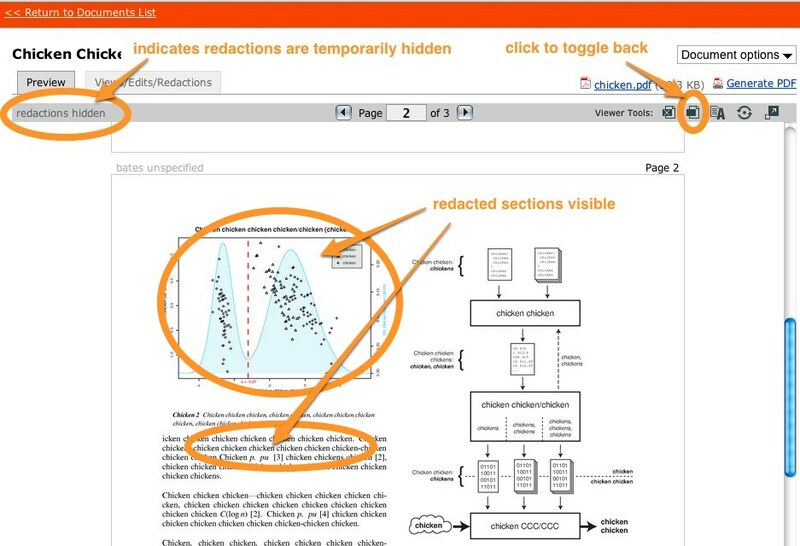 Documents that have redactions made in DiscoveryCloud will have an additional icon in their “Viewer Tools” section. A view of the document pre-redaction will be temporarily displayed. The version of the document available for (normal) export / production is not effected by using this audit mode. Navigating away from the document will not leave the setting on. Likewise, any other users viewing the document at the same time would see the redacted copy. Checks & balances are in place to prevent production of unredacted images remain in place, ensuring that those copies are provided only when explicitly requested. We hope this feature comes in handy and makes the process of auditing redactions simple and straightforward. Transmitting images utilizing Privilege Protect (or exporting) is a common use case, but some filetypes just don’t have a logical image: What does a pst “look like”? 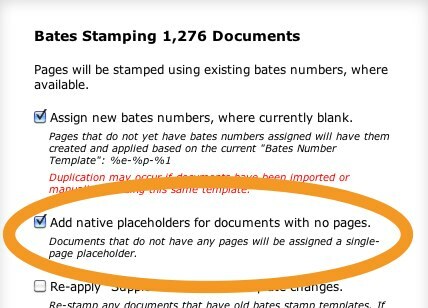 To account for this issue, a “placeholder” image can be employed to fill a spot – providing the ability to have something indicating that there is a native file that does not have images available. This functionality will make bates application – and more importantly: production itself – a more consistent process. The functionality is available immediately in Discovery Cloud and Trial Cloud.